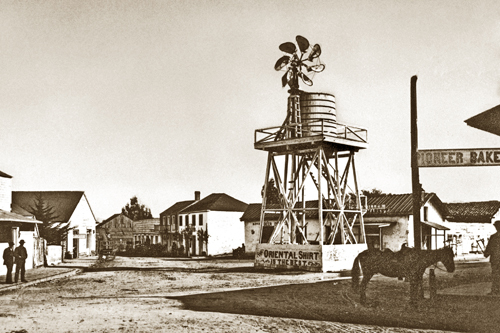 The adobe in back of the Town well and windmill is Jules Simoneau's (1820-1908) restaurant and saloon the Lyon's Ale Depot. 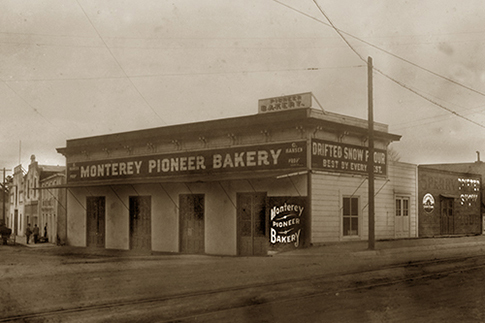 Looking down California St. now Munras St. to the intersection of Pearl St. and the South End of Alvarado Street Monterey Pioneer Bakery in the Cooper-Molera Adobe on left. And J.M. 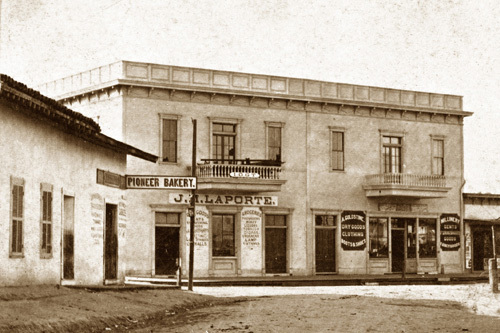 Laporte, A. Goldstine and the Odd Fellows met in the upstairs in the Alvarado Adobe. J. A. Urbanus was in Jules Simoneau old place. C.W.J. Johnson Photo from a 5x8 glass neg. Christian Hanson was the owner at the time. 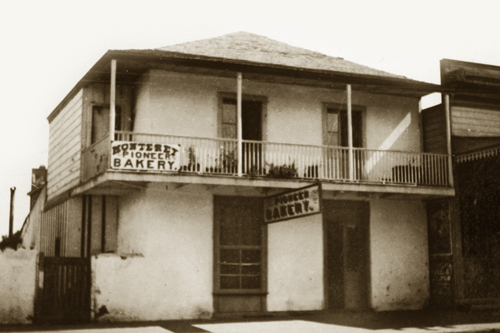 Joseph Leppert who was born in 1858 at Soufflenheim, France he took over from Escolle in 1896 the Monterey Pioneer Bakery at 106 Pearl street at Tyler Street in 1889. 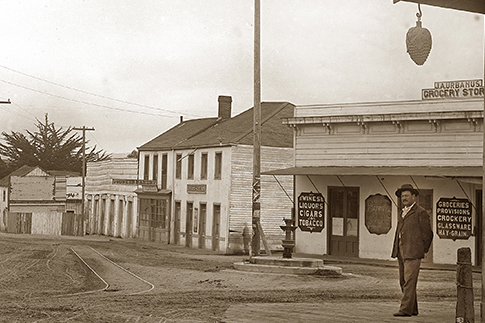 Leppert died on May 4, 1927 in Monterey at the age of 65. 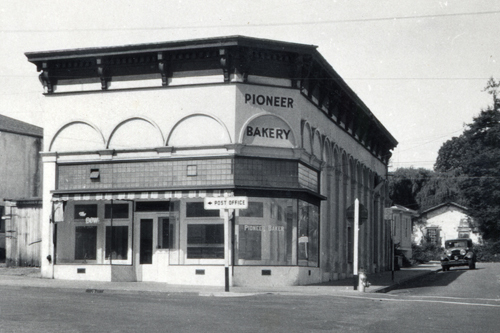 By 1912 C. Hanson was operating the bakery first Jules Simoneau old place and late at 500 Polk St. into the 1940's.